Dubai’s oldest neighborhoods are bisected by Dubai Creek and reaching them can involve longish walks from metro stops—uncomfortable in sometimes-searing heat. Skip the effort and hop between the areas by air-conditioned vehicle on this tour, with a guide for commentary. 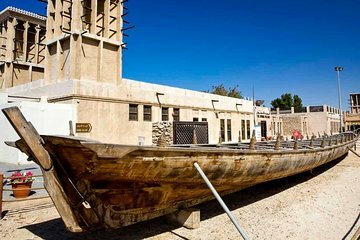 See Al Bastakiya’s wind towers, trace Dubai’s heritage at Dubai Museum, and cross the creek by “abra” boat to Deira’s Gold and Spice Souks. Hotel pickup and drop-off included.